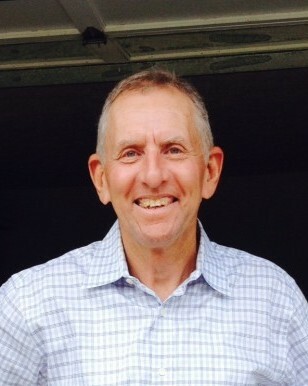 Thomas Dale Vest, 67, of Flatwoods, passed away January 24, 2019, surrounded by his loving family. Mr. Vest was born November 30, 1951, in Bluefield, WV, to the late Joe and Louise Vest. Tom was a member of the First Baptist Church of Russell, where he taught the Seekers class. He was a former Chemical Operator and Safety Supervisor at the Marathon-Ashland Maleic Anhydride Plant in Neal, WV. Tom lived a full and active life. In his free time, he enjoyed walking the golf course, fixing things, and mowing lawns. Most of all, Tom loved spending time with his friends and family and playing with his grandchildren. He is survived by his loving wife of 44 years, Irwina “Winnie” Vest; two daughters, Kelly (Todd) Overman and Jennifer (Jeremy) Alvis; five grandchildren, Max Thomas Overman, Kate Marie Alvis, Luke Robert Overman, Wyatt Todd Overman and Ryder Gray Alvis; one brother, Terry (Elisabeth) Vest; two sisters, Linda (Bill) Pelphrey and Sheila (Clifford) Williams; beloved in-laws, Debbie (Jeff) Kelly, Susan Rece, Janice Watson and Kevin Rece; and a host of awesome nieces, nephews, family and church friends. Tom lived a life of service. He loved helping and encouraging people and was a Godly example to his family and friends. Funeral services will be at 11 a.m., Monday, Jan. 28, 2019 at the First Baptist Church of Russell with Pastor Ken Gowin officiating. Burial will follow in Bellefonte Memorial Gardens. Visitation will be from 2:30-5:00 p.m., Sunday, Jan. 27, 2019 at the Church. In lieu of flowers, donations in Tom’s memory are suggested to Partners in Pride at P.O. Box 222 Russell, KY 41169 or First Baptist Church, Romanian Missions, at P.O. Box U Russell, KY 41169. Condolences may be left at carmanfuneral.com.